To get information about FOR78 and Refuge work day opportunities in your inbox, please sign up for our "Work Days" email list. Sign up for our "Work Day Email List"
Earth Fair in Myrick Park from 10:00 a.m. to 5:00 p.m. on Sunday, April 29, 2018. Driftless Convergence Silent Sports Expo, May 19 from 10:00 a.m. - 6 p.m. Omni Center. We will be working with the Refuge to bring information about the Refuge water trails to the attention of the public. 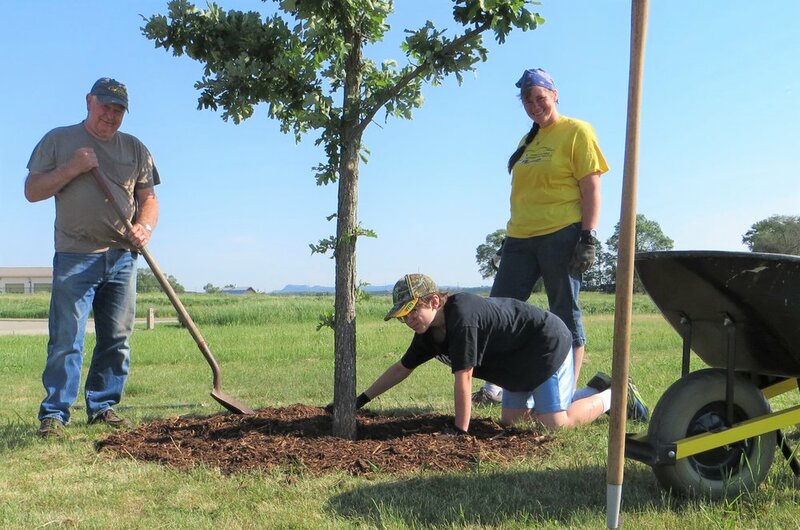 Youth Outdoor Fest in Veteran's Freedom Park in July. Cameron Park Farmer's Market during the Summer 2018 season. Our booth is generally geared toward youth, offering them opportunities to learn more about the wildlife on the Refuge. It's a really fun way to share your knowledge. We generally have furs, turtle shells, skulls, and ducks. If you don't think you know enough, don't worry, training is provided. Shifts are usually a couple hours. 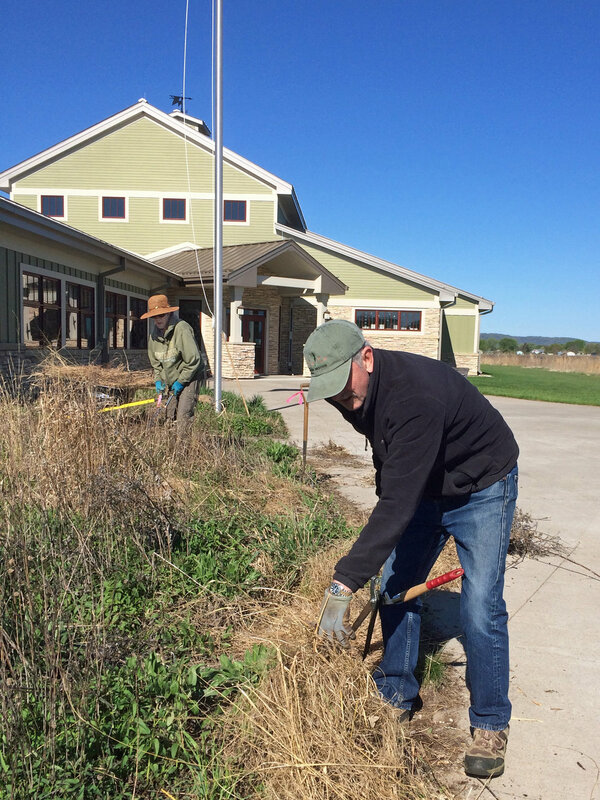 Help spruce up the gardens around the Visitor Center. 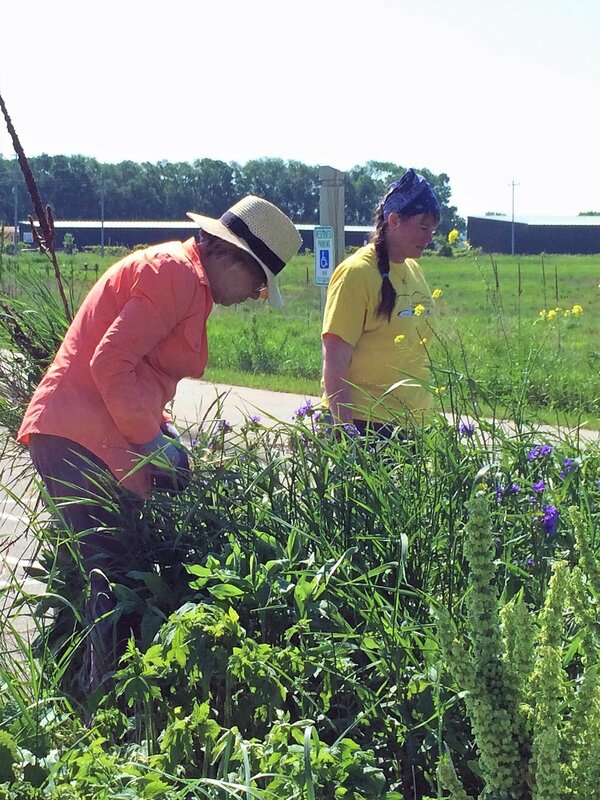 Plant shrubs and remove invasive species from the Wagon Wheel trail between La Crescent and La Crosse. Some work will be done in May and some in the fall. See "Work Days" above for dates as they are scheduled. Our 5th annual "Creepy Critters" special event will be coming up on Thurs. October 18, 2018, and we'd love to ask for your help. The event will run from 4:00 - 8:00 and we're asking if volunteers could help out from 3:00 - 8:00 (in order to have everything ready to go by 3:30 p.m.). If you aren't able to make it by 3:00, there are usually a few spots we can fit you into too. For those who might not be familiar with the event, "Creepy Critters" is geared toward multi-age families. Visitors walk around our outside paths, stopping at different themed animal tables to learn facts and dispel fiction about some of nature's more eerie wildlife. Each table offers a non-candy give-away and each child receives a prize to take home (usually a glow stick). In addition to the animal-themed tables, we'll host a puppet show, as well as face painting and a "bat cave." Environmental educator David Stokes will be presenting several live-animal programs throughout the evening followed by a feature program from 7-8 p.m.
Volunteer opportunities involve helping with the event activities listed above, helping orient other volunteers when they arrive, helping with event breakdown, and helping us set-up and decorate before the event. Please see below for an attachment with more information about volunteer activities. Most volunteer positions take place outside during the evening; lots of layers are encouraged - it gets chilly out here in early October! A boxed-meal dinner will be provided for all pre-registered volunteers. I will begin filling in volunteer positions as folks RSVP, but we will do our best to make sure everyone finds a role they'll enjoy. Would you please let me know what your top three choices would be? I know it's very early in the year still for many people to be planning for October, but if you can, could you please let us know if you can help by Friday, Sept. 14th? Please feel free to give me a call if you have questions about any of the volunteer position descriptions. We are planning to host a volunteer orientation the week before the event, Thurs. October 11th, to go over the event and volunteer positions in further detail. Would you like to help process memberships. You would have to use a computer. Are you a people person who would like to help recruit members for volunteer spots?